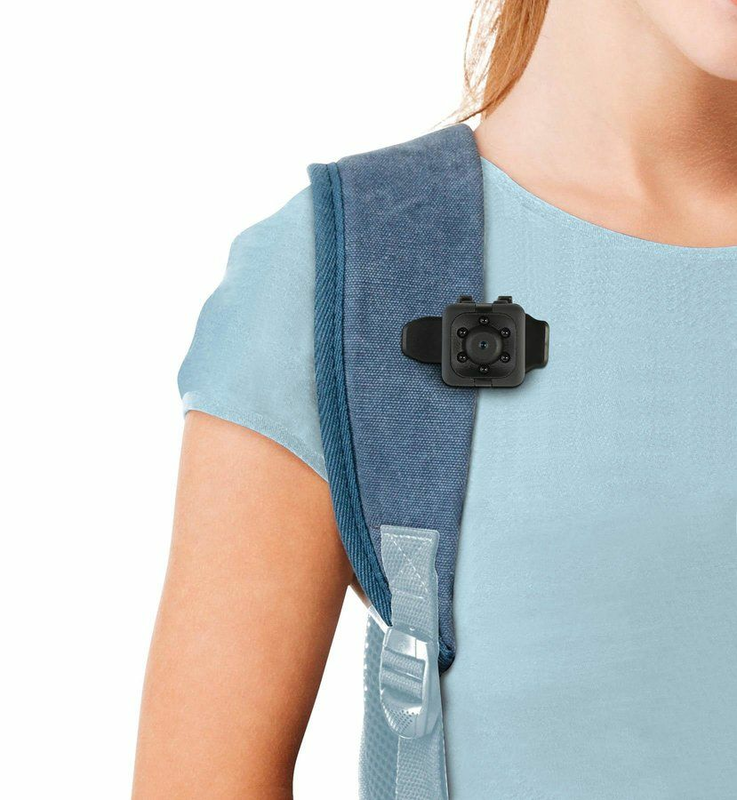 This lightweight mini camera is portable and compact, perfect for home security or a nanny cam for recording both clear snapshot pictures and videos without attracting any attention. 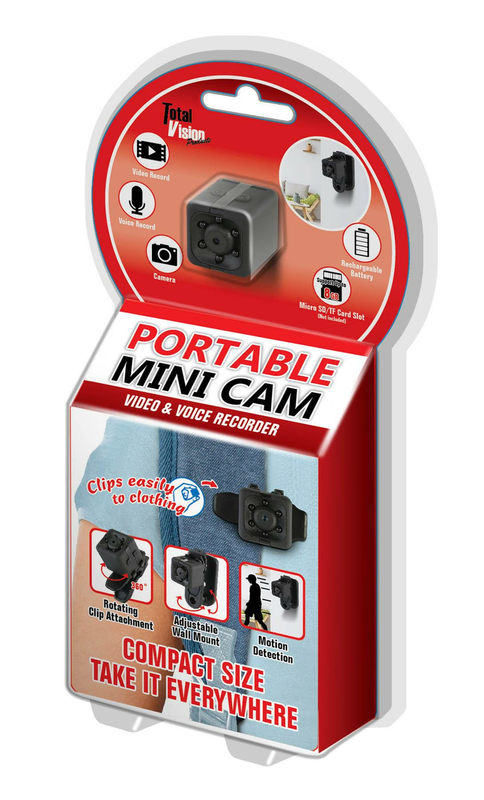 Featuring video, voice recording and camera modes. 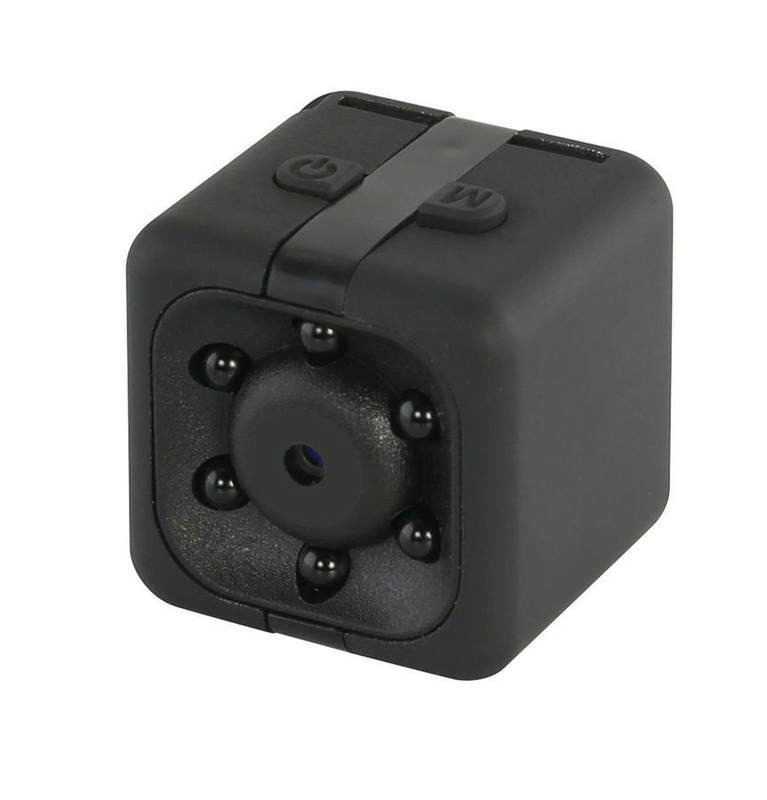 Supports up to 8GB Micro SD/TF card (card not included). 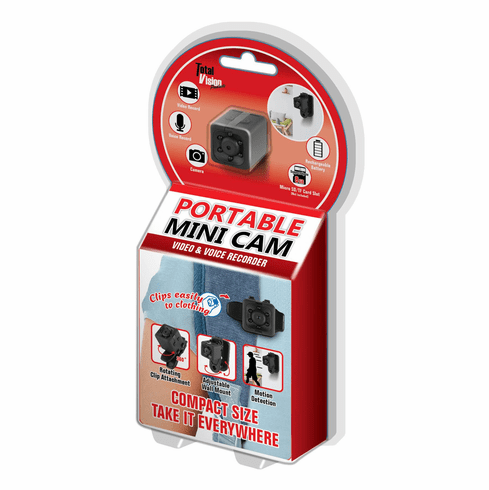 Adjustable rotating clip and wall mount included. Weight	0.25 pounds. 1" x 1" x 1". Plastic. UPC Number: 841437122602.